This success is a result of our continuous efforts to provide high quality coating designs for our customers. Therefore developing and implementing a quality management system that meets the requirements of ISO 13485:2016 standard. This could not have been achieved without all the hard work of the entire team. 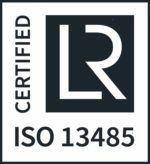 The ISO 13485 certificate indicates that the quality management system of LipoCoat complies with the strict standards for medical devices. 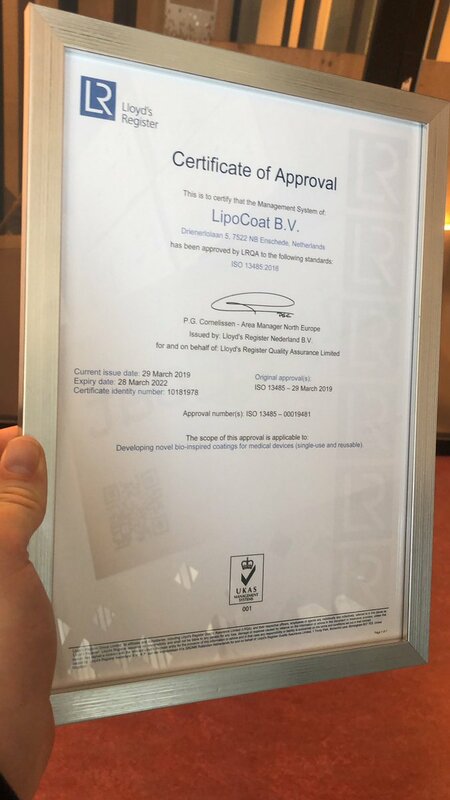 This certification represents an important milestone for LipoCoat. The Certificate of Approval has been given by Lloyd’s Register.